Royal Park is the largest park within short walking (or tramming) distance from the Melbourne CBD, and on most days it is easy to find large expanses of park where you cannot see another living soul - quite remarkable for a city of 3 million people. In recent years, the council has been managing the area as a native bushland park. Near the corner of Gatehouse Street and Royal Parade is the Australian Native Garden which is planted with many indigenous species. 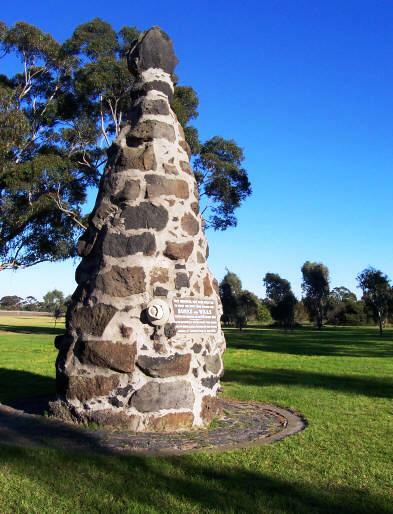 Nearby you can see the Burke & Wills Cairn commemorating the departure point of the ill-fated expedition in 1860. Royal Park lies on the opposite side of Royal Parade from Royal Park and adjoins Melbourne University. Over the years the Melbourne General Cemetery has expanded over a large section of the parkland and the Princes Park stadium, although occupying a relatively small area, becomes the focus of the park when major events are held there. The Princes Park Stadium Stadium has long been the home to the Carlton Football Club. Although AFL games are no longer played there, it still remains the headquarters and training venue for the club. The naming rights for the oval have seen it change its title several times. For a while it was 'Optus Oval' and is currently 'MC Labour Park'. Around 1845, Governor La Trobe set aside a reservation of over 1,000 hectares to become a park in this area. However, housing was later built over large parts of this reserved area and now form the suburbs we know as Parkville South, North and West. The area was traversed by a tramline (1920s), and for a short period part of the ill fated circle railway line. The area on the west of the railway was "out of sight" and over time was used for institutions such as a juvenile detention centre, psychiatric hospital, Commonwealth Serum Laboratories and a number of playing fields. For much of the 20th century this area was marked by barbed wire fences and few Melbournians visited this section of what could have been La Trobe's grand park. By 1876 the original 1,000 hectares had shrunk to less than 300 and this was officially proclaimed a public park. Over time however this became whittled away for University High School (1929), Royal Melbourne Hospital (1944), Royal Children's Hospital (1957) and Royal Dental Hospital (1963). Thus all of the original frontage to Royal Parade, and much of the original frontage to Flemington Road were lost. Virtually all parks in Melbourne have seen the growth of sporting facilities. At Royal Park most of these are open playing fields, but Royal Park also has a 9 hole public golf course, State Hockey Centre and Netball Victoria Centre and most significantly a 20 hectare zoo (1862) with its later associated carpark. Other excisions from the park include an Urban Camp for school children from the country. During the Second World War, part of Royal Park was temporarily set aside as an American army camp (Camp Pell) and it was here that the notorious Brownout Strangler was arrested. The sentry boxes are still standing and the Americans used the playing fields on the far side of the railway line for baseball and other sports. Some of those playing fields are still dedicated to baseball. The buildings were retained after the war as low cost housing and were eventually removed in the 'cleanup' of Melbourne prior to the 1956 Olympic Games. 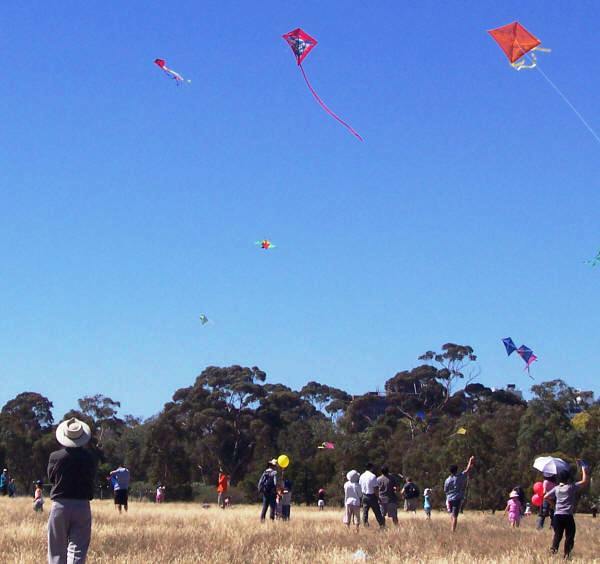 Today (December 2007) the park in down to 188 hectares - about one fifth of the size envisioned by Governor La Trobe. It is therefore not surprising that some Melbournians have objected to the redevelopment of the old Psychiatric Hospital on (could have been but never was) parkland into the Commonwealth Games Village. It is, however, a little ironic that many of the objectors have the address of Parkville South, North or West. Copyright © 1995 - 2016 White Hat. A nine hole public golf course next to the zoo. Plenty of off street parking available.